From your Admin Dashboard, navigate to the "Fundraising" Tab and click on the "Events" link. From there, select “Edit” for the event you want to work on. 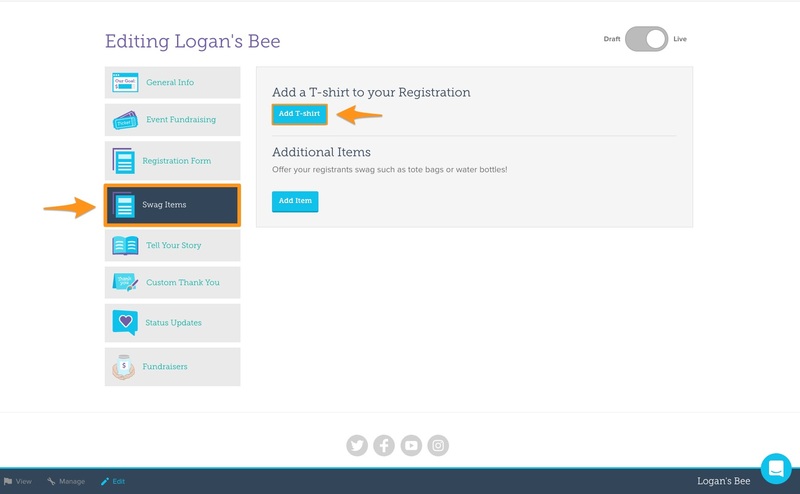 From your fundraising event editor, navigate to the “Swag Items” tab on the left hand navigation, and then select "Add T-shirt". Step 4: Add t-shirt information and save. 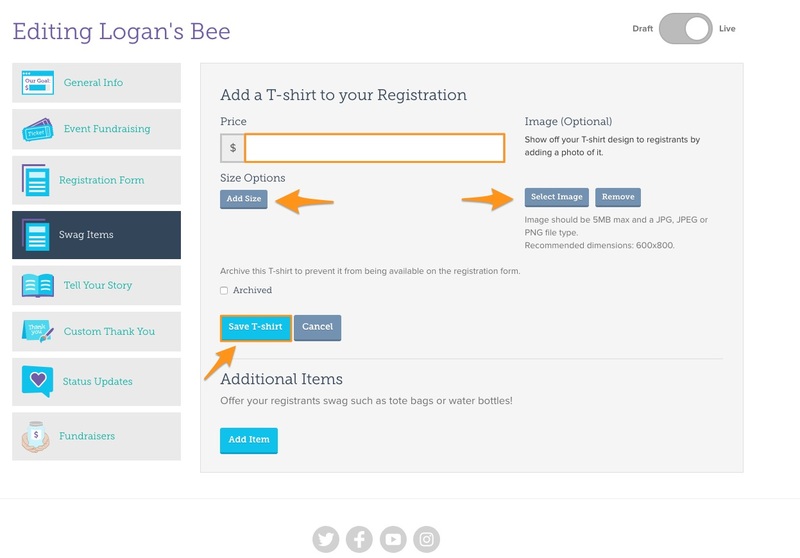 Once you select "Add T-shirt", you will have the option to add the price of your shirt, select an image for your design (If your organization has the design mocked up), you can add size options, and then save your t-shirt!